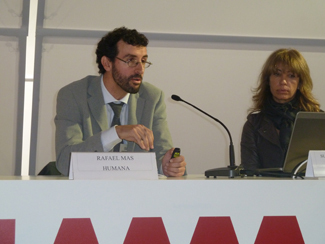 Humana Fundación Pueblo para Pueblo has been a speaker at the Sustainable Fashion Workshop organized today in the framework of the International Fashion Week in Madrid (SIMM), within the named Foro Speakers Corner. 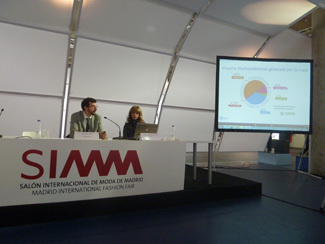 The objective of this workshop was to promote greater awareness among manufacturers, distributors and others in Spanish fashion about the importance of sustainability applied to the textile industry. Recognizing the long-term benefit of good practices. Use raw materials and develop production processes that respect the environment. Promote sustainable products attractive to the customer. Innovate in this area, seeking alliances and synergies within the industry, for example, NICE, the code of conduct between the textile companies in the Nordic countries, led by the Danish Fashion Institute. Humana offers fashion companies can donate their stocks, promote specific campaigns textile collection, including customer incentives, and place containers on their premises. Such actions represent an added value to the brand, help generate revenue and strengthen customer loyalty. He participated equally in the workshop Susana Gómez-Selles, project director of the Federation of Spanish Footwear Industries (FICE).